The serum comes in a glass bottle and has a dropper, which makes applying the product easier. I love the packaging is bright, which add to my skincare shelf some color. The serum claims to clear and bright skin tone, firm and well balance skin structure, flawless and smooth skin texture, rich moisturizing from inner layers of the skin and intensive nourishing for healthy skin. The serum contains pomegranate, which improves skin radiance, elasticity and vitality. 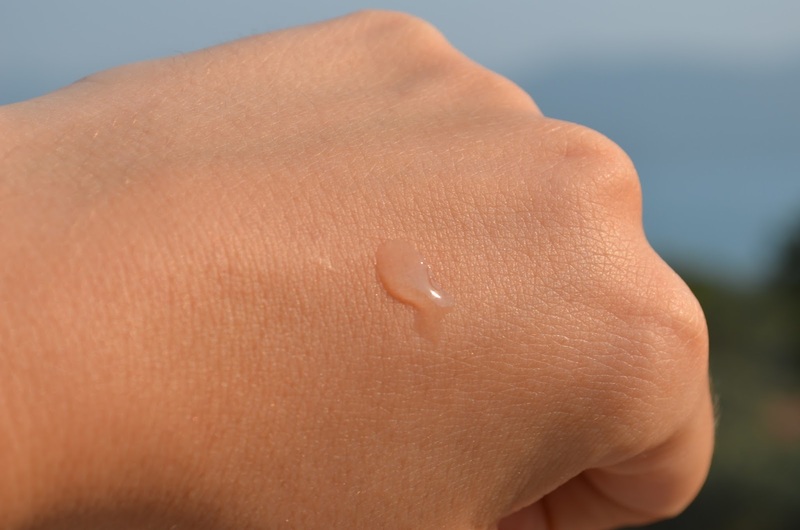 Cloudberry has skin calming and moisturizing effect. Lycium improves skin tone and relieves stress. Acai berry is anti oxidant, which improves skin tone. Blueberry is also anti oxidant and has moisturizing effect. Raspberry is rich with vitamin C and improves skin elasticity and also has moisturizing effect. It also claims to give results in 5 days. I didn't compare my skin condition before and after, but after first use I knew I like the serum. After 2 weeks the wrinkle between my brows was hardly noticeable. Now I don't even see it. The formula of itself is light weight and sinks into the skin nicely. I use it morning and evening after toner. I use 3 drops of product, which is enough for my face and pat it in. It does feel tacky at first, but when I apply my day cream/night cream on top of it there is no tacky feeling left behind. It has made my skin tone brighter and also softer and smoother. I also like the slight scent it has, which is sweet, but not over powering. I have had samples of it and gave it to my mom and aunt, they both loved the serum from first try. 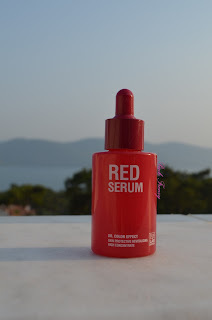 Have you tried this Skin & Lab serum before? I'm always looking for new serums. The ingredients in this one sound really nice.